Kimberly (“Kimi”) Wise began working with Gentry Law Firm LLC in May of 2017, while attending Emory Law School. Upon her graduation, she accepted an associate attorney position with Mr. Gentry. Her primary area of practice is Family Law. 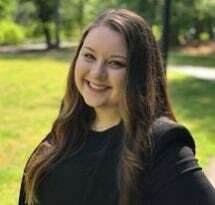 Prior to her time here, Kimi has been an intern for 2 Cobb Superior Judges, Family Law Firms within the Cobb area and Legal Aid of Cobb County. She earned her B.S. in Early Childhood Education from Kennesaw State University. While there, she was a member of Phi Eta Sigma Honor Society and the National Society of Collegiate Scholars. Kimi was also a founding member of Kappa Delta Sorority and acted as their founding treasurer. She went on to be a founding member of Greater Marietta Alumnae. At Emory Law School, her involvement continued by becoming Vice President of the Alternative Dispute Resolution Society from 2016-2017. She was a competitor and coach on the mediation team from 2015-2017. From 2016-2017 she was the Vice President of Family Law of the Child, Family and Elder Law Society, becoming President from 2017-2018. Kimi is a member of the Cobb County Bar Association and the State Bar of Georgia. She serves as a volunteer for Cobb Christmas and the PKD Walk. Currently, she resides in Cobb with her husband, daughter, and three dogs.